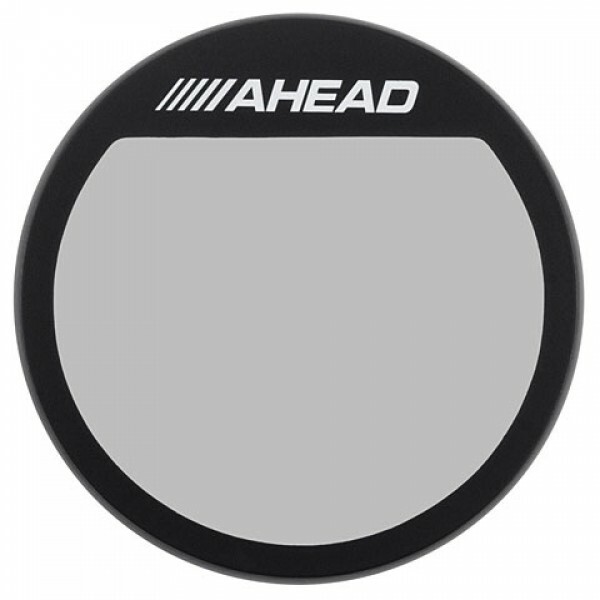 ACOP 5" Clamp-On Practice Pad AheadDeveloped to offer drummers a more portable alternative ..
ADS-FUS 8-Piece Fuzion Drum Silencer Pack Ahead"QUIET ON THE SET". 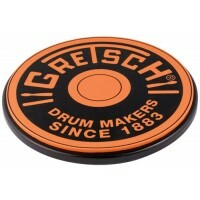 The Silencers are d..
AHPDB 14'' Double Sided Brush Pad Ahead A dual purpose pad designed for drummers wh..
AHPDL 14" Double Sided PadAn economical, dual purpose pad that simulates a hard snare drum ..
AHPDM Double Side Practice Pad 10'' AheadAn economical, dual purpose pad that simulates ..
AHPM Single Sided Mountable(8mm Thread) Drum Pad 10'' AheadA portable pad that lets you ..
AHPS Single Sided Mountable(8mm Thread) Drum Pad 7'' AheadA portable pad that lets you w..
A mid-sized, natural-playing practice pad with snare sound.This Ahead 10" Practice Pad off..
AHSOPP 6'' Combact Stick-On Practice Pad AheadDeveloped to offer drummers a more portabl..
AHWCP Wicked Chops Practice Pad AheadThe Wicked Chops Practice Pad is exactly what you need for ..
A portable and practical pad for short warm-ups or a full workout.The Strap-On Pad from Ahead w..
APPS 8mm Pad Stand Ahead Designed to hold, 8mm mount practice pads. 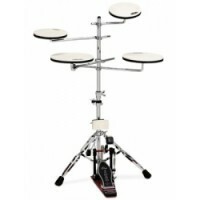 FEATURES..
Pearl BD-10 - durable bass drum training pad. 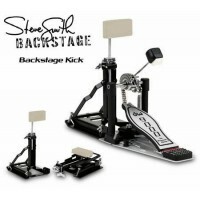 ..
​DRUMstore Practice pad 6'' Wodden plate with rubber percussion pad Suitable ..
DW CPPADBD Bass Drum Smart Practice PadΛευκό κα..
DW CPPADBDSS Steve Smith Bass Drum Practice StandDeveloped by Steve Smith and DW, the "Back..
DW Practice Pad 10''Natural feel and rebound Allows for ultra-quiet practice H..
DW Practice Pad 12''Natural feel and rebound Allows for ultra-quiet practice H..
DW Practice Pad 13''Natural feel and rebound Allows for ultra-quiet practice H..
DW Practice Pad 14''Natural feel and rebound Allows for ultra-quiet practice ..
DW DWSMPADSS Steve Smith Knee Practice PadDeveloped by Steve Smith and DW, the "Backstage&..
Gewa Practice Pad Billy Hyde 12'' Playing feels natural Material: rubber C..
Gewa Practice Pad Billy Hyde 8"
Gewa Practice Pad Billy Hyde Style 8" Playing feels natural Material: rubber ..
Gewa Practice Pad Stand BSX M6 thread For Billy Hyde Pad Inclination and height a..
Go Anywhere Practice Set by DW B-stockNever again will you have to be without the ability..
GP08 Practice Pad Kit on Gibraltar RackGibraltar’s practice pads come in heavy-duty 5-piece..
Gretsch 12'' Grey Round Badge Practice Pad GREPAD12GThe Gretsch Grey Logo 12 inch Pract..
Gretsch 12'' Orange Round Badge Practice Pad GREPAD12OThe Gretsch Grey Logo 12 inch Pra..
Gretsch 6'' Grey Round Badge Practice Pad GREPAD6GThe Gretsch Grey Logo 6 inch Practice..
Gretsch 6'' Orange Round Badge Practice Pad GREPAD6OThe Gretsch Orange Logo 6 inch Prac..
Los Cabos Practice Pad 6'' Mountable(8mm Thread) .. 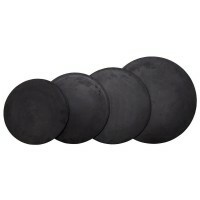 Practice pad 12'' BasixWodden plate with rubber percussion pad Suitable to p..
​Practice pad Niple 14" Gewa Practice pad to muffle the volume To lay on a 14&qu..
Remo Putty Practice PadThis moldable, portable practice pad fits in your pocket! It applies..
Practise Pad Pearl RP-10B Για Ολες Τις Κασσές ..
RTOM 14" Moongel Practice PadThe RTOM 14" Moongel Workout Pad is made to really develop you.. 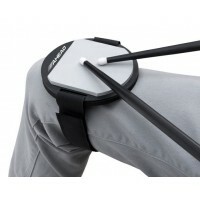 The Rtom WP7 Workout Pad is made of the same material as the Moongel Damper Pads, in this case of..
Gibraltar SC-LPP Leg Practice Pad with Strap6” pad contoured fit with extra wide strap..
Gibraltar SC-PPP Pocket Practice PadGibraltar introduces the “go anywhere” Pocket Practice ..
​Silence pad for cymbal 16"-20" Gewa Neoprene muffling for cymbals 16"-20.. Silence pad Λάστιχο Μελέτης 10"
Silence pad Λάστιχο Μελέτης 12"
Silence pad Λάστιχο Μελέτης 13"
Silence pad Λάστιχο Μελέτης 14"
Silence pad Λάστιχο Μελέτης 16"
Silence pad Λάστιχο Μελέτης 8"
Silencer set pad for Hi-hat GewaRubber muffling mat for Hi-Hat Easy handling Optimal muti..